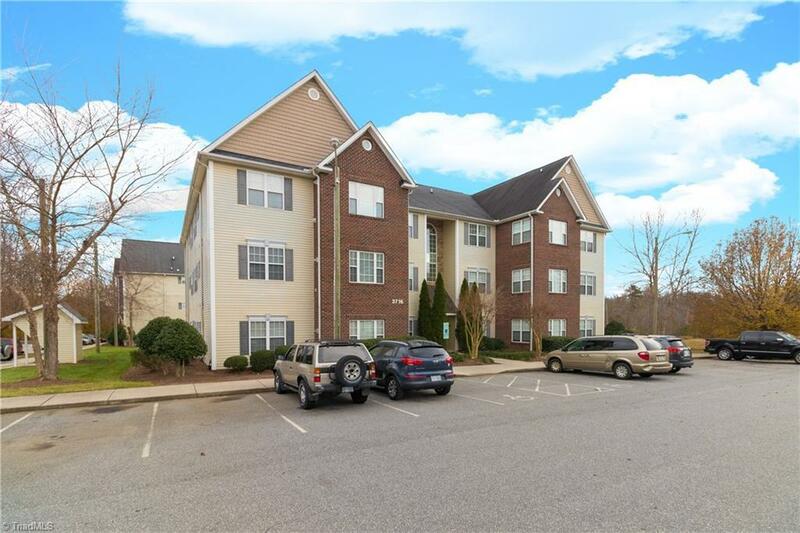 Sunny, top floor condo w/ vaulted ceilings & a view! Relaxing sunroom w/ laundry & linen closet. Laminate flooring in LR & Master BR. Updated SS app. that remain (including fridge & GAS range) Washer/Dryer/TV over gas fireplace to remain! Master has WIC, garden tub & dual vanity w/ granite top. Baths & kitchen have tile floors. 2nd BR connects to bath and has WIC. HOA covers water/sewer/trash/pest/and more! Controlled entry & secure video/audio intercom system in each unit. Sold by Price Realtors - Archdale.